Since August, I have been slowly traversing the contents of Saturn’s Moons: W.G. 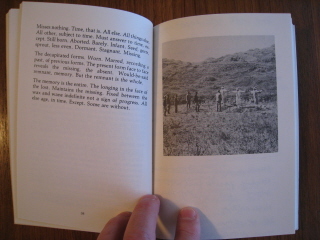 Sebald – A Handbook, edited by Jo Catling and Richard Hibbitt. Saturn’s Moons opens with a section called The Writer in Context, which provides five biographical essays by as many authors, each dealing with a section of Sebald’s life. Here the link to all of my posts on Saturn’s Moons. The most recent essays that I have managed to squeeze in between my travel and a pressing fall schedule are both biographical essays dealing with the years leading up to Sebald’s tenure at the University of East Anglia. Mark M. Anderson’s A Childhood in the Allgäu: Wertach, 1944-52 covers Sebald’s childhood in the southwest part of Bavaria. 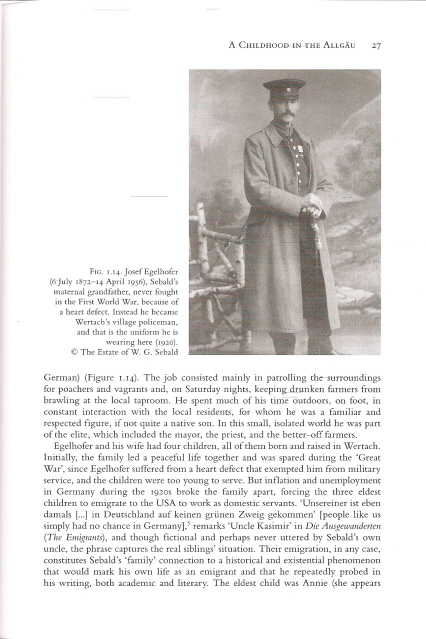 He portrays this period as a rather happy time, with the young Sebald being heavily influenced by his maternal grandfather, who was, among other things, a “passionate walker.” Anderson suggests that it was through his grandfather (born in 1872) that Sebald found his “old-fashioned, nineteenth-century tone.”Anderson contends that Sebald never completely recovered from his grandfather’s death when he was twelve. Richard Sheppard’s The Sternheim Years: W.G. Sebald’s Lehrjahre and Theatralische Sendung 1963-75 is essentially a detailed history of Sebald’s college years and his early teaching years in Manchester. Sheppard begins with fairly extensive coverage of Sebald’s years at the University of Freiburg (1963-65), where he was interested in literature, the arts and the theater. Sebald even acted in several plays. It was here that he discovered Walter Benjamin and the Frankfurt School, which would be enduring influences on his thinking and writing. These years also coincided with the Auschwitz trails, which, Sheppard argues, led Sebald “to believe that the post-war German university system had been tacitly colluding in the cover-up” of the true history of war years. From 1965-66 Sebald attended the University of Fribourg in Switzerland, where he began to develop and sharpen his critical stance through his research and writing on the German dramatist Carl Sternheim (1878-1942). From 1966-68 Sebald taught at the University of Manchester. Here, I was very pleased to see, Sebald read Michel Butor’s 1957 novel L’Emploi du Temps (Passing Time), written when the French novelist was also a visiting lecturer at the University of Manchester. From 1968-69 Sebald taught in St. Gallen, Switzerland, before returning to Manchester for the 1969-70 year. Through Sheppard’s extensive research and close reading of Sebald’s writings from this time, we see exactly how Sebald’s critical positions and literary tastes evolved and strengthened. Anyone with more than a passing interest in Sebald will find these two essays (which consume nearly one hundred pages) to be fascinating and revealing. There is no future, only the onslaught of time. Theresa Hak Kyung Cha’s Dictee (NY: Tanam Pres, 1982) is an experiment in autobiography that blends poetry and prose, history and memoir, and reproductions of photographs and documents. Many of Cha’s themes overlap with those found in the work of W.G. Sebald: history, memory, war, cruelty, family. To the other nations who are not witnesses, who are not subject to the same oppressions, they cannot know. Unfathomable the words, the terminology: enemy, atrocities, conquest, betrayal, invasion, destruction. They exist only in the larger perception of History’s recording, that affirmed, admittedly and unmistakably, one enemy nation has disregarded the humanity of another. Not physical enough. Not to the very flesh and bone, to the core, to the mark, to the point where it is necessary to intervene, even if to invent anew, expressions, for this experience, for this outcome, that does not cease to continue. To the others, these accounts are about (one more) distant land, like (any other) distant land, without any discernable features in the narrative, (all the same) distant like any other. But Cha adds additional layers: Catholicism and feminism. Dictee opens with Communion, followed by confession, and it closes with a scene embodying acts of charity (water, medicine, advice) between a woman and a young girl. Overseeing Cha’s enterprise are the nine classical Muses, the daughters of Zeus and Mnemosyne (memory) who presided over the arts and sciences. Each of Dictee‘s chapters is assigned the name of a Muse. The history that Cha probes is the story of twentieth century Korea (where her family originated): the Occupation by Japan as a result of the Sino-Japanese War; the country’s division into two parts as a result of the Cold War; and the violent student demonstrations of the 1960s. But Cha’s main concern, it seems to me, is human communication itself. Dictee (the dictation) is structured as an unending struggle to move from inarticulateness to utterance. Words become syllables, sentences become strings of single words, continuity is disrupted. Where, Cha seems to ask, does language become meaning? 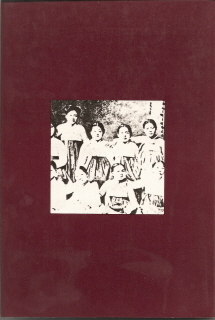 Parts of the book are written in French and there are many references to the issues of translation and multilingualism. Dictee is heavily influenced by film theory. It contains abrupt jump cuts, makes powerful use of vantage point, and dwells on the intellectual dichotomy of listening to spoken language while reading sub-titles in a different language. Following the lead of Michel Butor and other French writers of the nouveau roman, Cha sometimes moves into second person in an attempt to obliterate the boundary between reader and subject. Her movements are already punctuated by the movement of the camera, her pace, her time, her rhythm. You move from the same distance as the visitor, with the same awe, same reticence, the same anticipation. Stationary on the light never still on her bath water, then slowly moving from room to room, through the same lean and open spaces. Her dress hangs on a door, the cloth is of a light background, revealing the surface with a landscape stained with the slightest of hue. Her portrait is not represented in a still photograph, nor in a painting. All along, you see her without actually seeing, actually having seen her. You do not see her. For the moment, you see only her traces. More than once, as I read Dictee, I was eerily reminded of Chris Marker’s 1962 film La Jetée. A decade ahead of Sebald, Cha interlaced her text with uncredited news photographs, portraits, reproductions of documents, and even reproductions of what appear to be the handwritten manuscript for the pages of Dictee. Theresa Hak Kyung Cha was born in Korea, but raised in the US. After studying at the University of California, Berkeley, she studied filmmaking and critical theory in Paris. A week after Dictee was published, she was murdered by a stranger on the streets of New York. 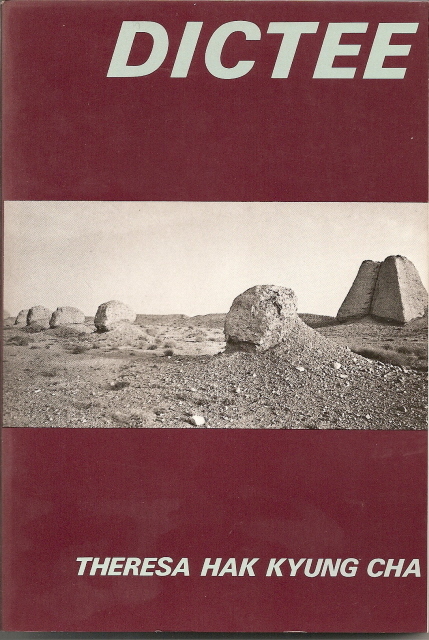 Tanam Press was an important publisher of avantgarde art titles (Jenny Holzer, Reese Williams, Philip Glass, Werner Herzog, Richard Prince) from 1980 to 1986. Vic photographs post-industrial ruins, uncovering ghostly remnants of preserved memory, often adding extra layers of palimpsestuous reading to her artefacts by using a time-based pin hole camera techniques and by making spectral fragmented screen prints of the images she captures – the dramatic photograph above is from a series Vic took at Barnes Hospital. 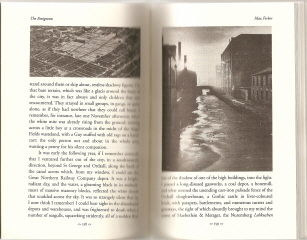 Re-tracing the footsteps of Sebald, Vic will add her own memories and fictions to the city. In re-reading the Max Ferber section of The Emigrants the other day, I suddenly realized that W.G. Sebald was referring to the same city that Michel Butor had described in his great novel of 1957 L’Emploi du Temps (Passing Time). Sebald moved to Manchester, England in 1966 to take up an assistant lectureship at the University of Manchester, where Butor had taught from 1951 to 1953. Thursday, May 1. Suddenly there were a lot of lights. And then I was in the town; my year’s stay there, more than half of which has now elapsed, began at that moment, while I gradually struggled free of drowsiness, sitting there alone in the corner of the compartment, facing the engine, beside the dark windowpane covered on the outside with raindrops, myriad tiny mirrors each reflecting a quivering particle of the feeble light that drizzled down from the grimy ceiling, while the thick blanket of noise that for hours past, almost unremittingly, had enfolded me began to thin at last, to break up. The French narrator of Passing Time, fulfilling a year’s term as translator for a British firm, largely detested his time in Manchester, which Butor called Bleston. The entire book is a labyrinth of streets and time . 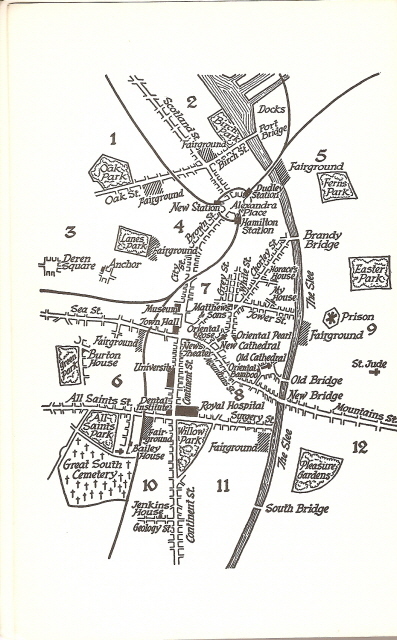 The book opens with a map (above) representing the narrator’s attempt to mark the major locations of his year in limbo, while every diary entry contains precise walking or bus-line directions for the day’s activities.The diary, begun in May, is six months in arrears, and so the narrator can alternately hold time at bay then let it surge forward like lava. While Butor’s narrator arrived by train, Sebald’s arrives by plane. Looping round in one more curve, the roar of the engines steadily increasing, the plane set a course across open country. By now, we should have been able to make out the sprawling mass of Manchester, yet one could see nothing but a faint glimmer, as if from a fire almost suffocated in ash. A blanket of fog that had risen out of the marshy plains that reached as far as the Irish Sea had covered the city, a city spread across a thousand square kilometres, built of countless bricks and inhabited by millions of souls, dead and alive. Both Butor and Sebald found Manchester to be haunted by its faded past and enlivened by its immigrants. Sebald spends nearly a page delighting in the foreign-sounding names of immigrants and listing the trades that they took up (pp. 191-2). Sebald’s narrator and Max Ferber (a German Jewish exile) often meet at an unlicensed Kenyan restaurant called Wadi Halfa. And both narrators spend a considerable amount of time just walking the city. I won’t belabor the many intriguing parallels between the two writer’s views on Manchester, but I encourage fans of Sebald to find a copy of Michel Butor’s Passing Time.